This page will walk you through the setup of a gift set. Gift sets are a special product where a customer can select from any amount of products you define. 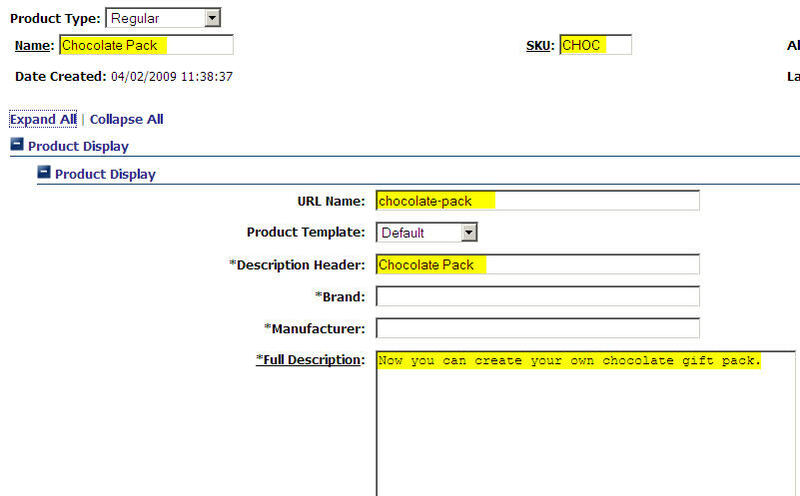 For example, you could be offering a chocolate bar gift set where the customer chooses four bars from a group of six. First you will need to setup or upload all of the products you want to be part of the gift set. 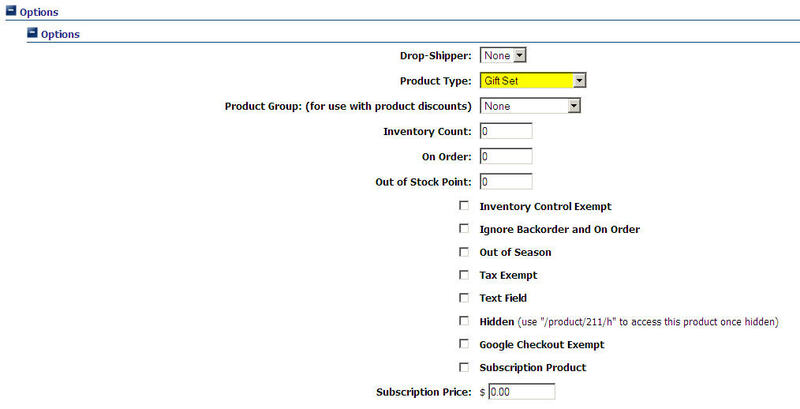 Next you will need to setup a top level product (Inventory >> All Products >> Add New Product) or upload a product from CMS and make it a "Gift Set". This will be the "parent" product for the gift set. Correctly fill out the product details (price, description, weight, images, etc.) See image below. Then you will need to set the product type as Gift Set (Options >> Options >> Product Type). Note: Do not setup the individual products as Gift Set products, only the top level product. See image below. After you have correctly setup the product select "Save and Close". You will then be prompted to add products to your gift set. Select the correct products from the right hand area and highlight them (you can hold down the control key to select more than one product, or hold down the shift key to select a range of products). See image below. 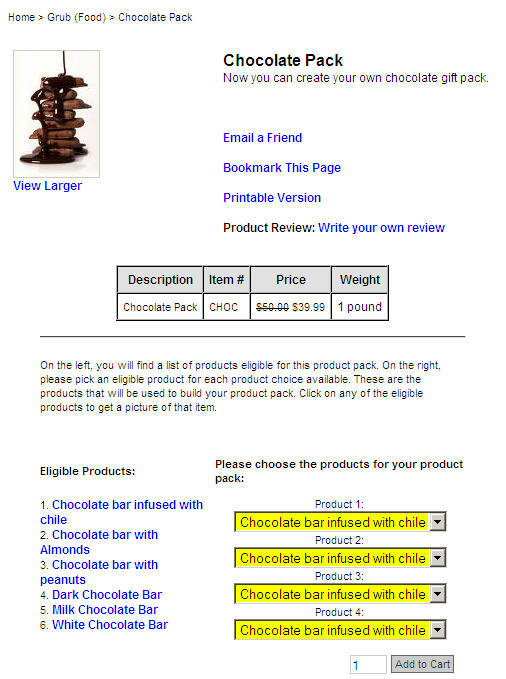 Below is an example of what a Gift Set product looks like on a site. This page was last modified on 4 May 2009, at 17:47.